ECB President head Mario Draghi was asked at a news conference about accusations by U.S. President Donald Trump that Europe is purposefully pushing its currency down with low interest rates to gain a trade advantage. 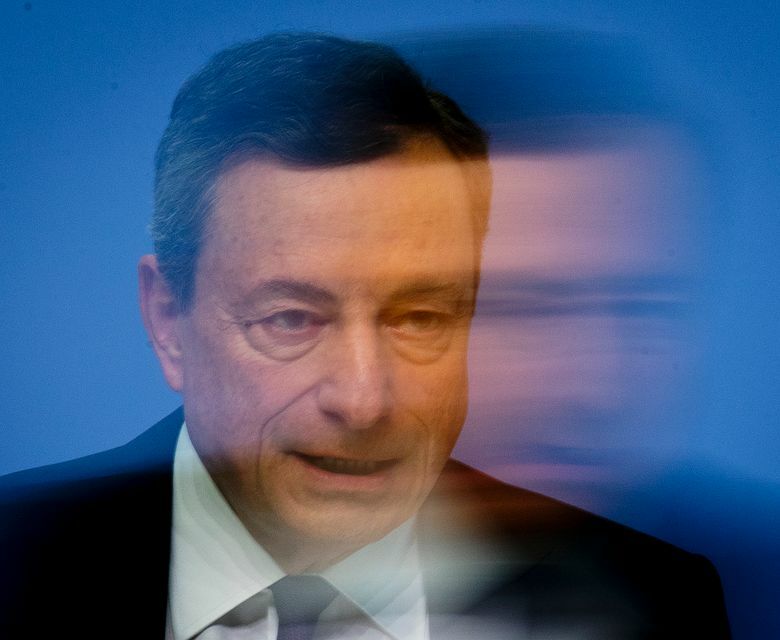 But Draghi said the ECB monetary stimulus efforts were simply a reflection that Europe and the United States economies had emerged from the financial crisis at different periods. The eurozone economy has not had as much time to strengthen and therefore needs lower rates. “We said several times that the exchange rate is not a policy target,” he said. Stimulus policies such as zero interest rates can weaken a currency. But Draghi noted that euro has actually appreciated when measured against all of Europe’s trading partners. The bank had said at the previous meeting, on June 14, that it would phase out its 2.4 trillion-euro ($2.8 trillion) bond-buying stimulus program by year-end, and would keep interest rates on hold “through the summer” of 2019. Speculation on what “through the summer” means has ranged from July to September or even later. Draghi declined to be more precise during the news conference. The ECB is withdrawing stimulus as the economy grows, but doing it so slowly that its path is diverging sharply from that of the Fed, which is already raising rates. The rich world’s major central banks — also including the Bank of England and the Bank of Japan— are slowly withdrawing stimulus measures they deployed to support the economy during and after the global financial crisis and Great Recession. “It shows that there is a willingness to discuss trade issues in a multilateral trade framework again,” he said. The ECB’s short-term benchmark rate was kept unchanged at a record low of zero. By comparison, the Fed’s key rate is in a range between 1.75 percent and 2 percent and more increases are expected this year. The bond-buying program, meanwhile, pumps newly created money into the banking system in an attempt to raise inflation and growth by making credit easier to get.